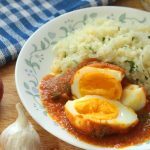 Keto Egg Curry - Headbanger's Kitchen - Keto All The Way! 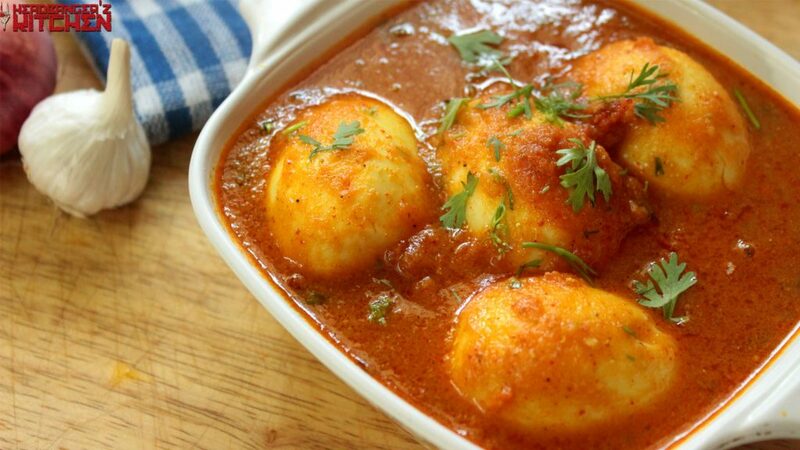 We often make egg curry in my house. More often than not, it’s chicken curry or prawn curry that is left over but the meat is finished and the gravy is left. We generally boil a few eggs and throw it into that and we’ve got an egg curry. That’s the cheats way and a handy tip to have. Today though I’m making it from scratch, with the sole purpose of creating a Keto egg curry. Normally when I make Keto curries I use some kind of cream to up the fat content and make it more rich. However, I feel not every curry needs cream. Sometimes you just want that straight up curry. However coconut cream would go really well with this egg curry. It’s a great way to up the fat. Another great option is making cauliflower rice to go with this and top it was a tablespoon of butter and then pour the curry over that. Make a paste from the onion, ginger, garlic and chilly. Cook for 2 minutes and add in the tomato puree, salt and water. Can we have the spice quantities added? They are missing at the moment, from salt down. Will fix that but generally start with 1/4 tsp of everything and add to taste. I’ll put that in though.